I gather Diddy sees a lot of himself in French Montana, hence why he snapped him up so long ago, after years of riding shotgun to Biggavelli. The manner in which French Montana has created for himself, under the guise of a “wordsmith,” is quite simply remarkable. So when French Montana sat down Billboard and pitched the cover story in red, white and blue, he was speaking of a sudden glow-up. Montana shared the wisdom he imparted from Sean “Diddy” Combs in this tell-all interview. Those who rose from humble beginnings understand his choice of dialogue in social situations, like the time French ran up to Sandra Bullock and exclaimed “Ahh, they’re singing that ‘Happy Birthday,’ bro!” after barging into the banquet hall she had booked. Afterwards his manager said something to the effect of “you can’t bum rush the spot!” But he did and he will, even if doesn’t exactly reflect his change of address. Diddy even outlined a plan for him much like his own: quit rapping at the age of 40 with your ducks in a row. “One thing I learned from him is that you don’t have to rap,” Montana says. As in, you retire in your 40s and invest elsewhere? “It’s not that — Puffy still raps,” he explained. “But when it becomes a business, that can take away from the love of music. 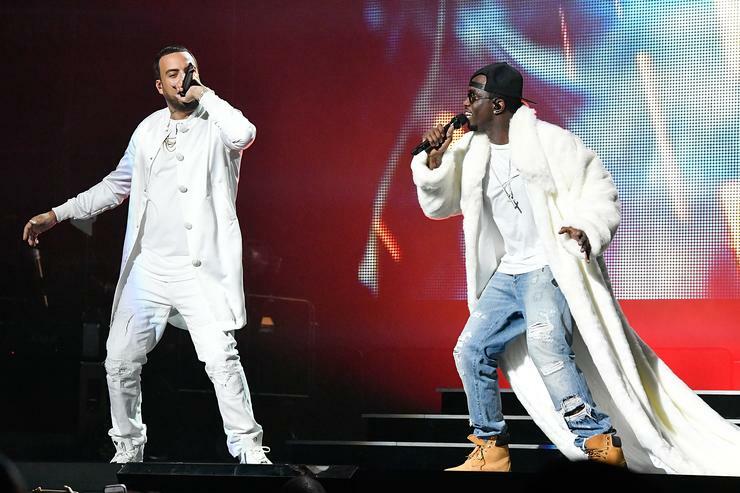 And yes after brushes with the tabloids, French Montana still believes in love.